Regardless of the probability of the danger, the fact remains that we all have possessions that we just can’t afford to lose. With limited or no options around the house for their safe keeping, the best solution is likely to be outside the house. To be more precise, in a safety deposit box at Kuber Vaults in Castle Hill. The First Safety Deposit Box Facility In Western Sydney! Kuber Vaults is a state-of-the-art facility which meets the highest industry standards of construction and safety and offers you a range of safety deposit boxes to suit various requirements. We have spared no efforts to make sure Kuber Vaults – both as a product and a service – gives you complete value for money and of course, total peace of mind. From construction quality to security protocols, expert staff to longer working hours – every aspect of Kuber Vaults has been designed with focus on your convenience. 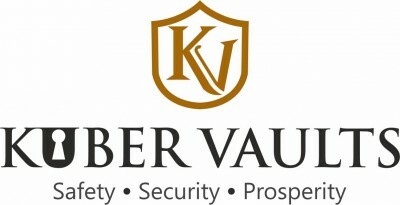 Why not call Kuber Vaults and arrange a tour on 1800 058 237 you will be impressed by the security. A customer may access their safety deposit box during the business hours of operation which are 9.00 am – 5.00 pm Monday to Friday and 10.30 am to 3.00 pm on Saturday, Sunday and public holidays. Access outside of these hours can be arranged with Kuber Vaults by advance request. Verante or its advisers do not receive any commissions, fees or incentives for recommending these services. We just want our clients to know what is availbale to them and that we trust the service providers. Liam has know the owners for over 10 years and has full confidence in their personal and business reputations.